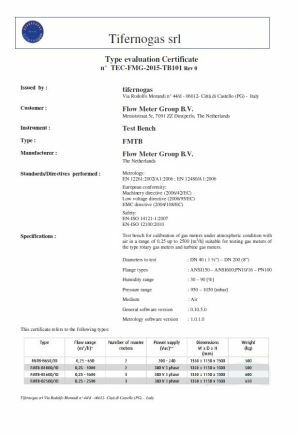 FMG received a type approval certificate for the FMTB test bench series issued by Tifernogas Srl. Tifernogas Srl is an independent laboratory from Italy, accredited according ISO/IEC 17025 for flow by the Italian accreditation body Accredia and with experience of certification of test installations from the past. 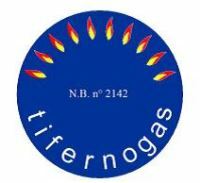 Tifernogas Srl has test facilities of his own for calibration of gas flow meters with traceability to the German P.T.B. After an intensive period of document review by Tifernogas Srl in August a FMTB-B2500 test bench is shipped to Cittá di Castello, Italy for evaluation in the laboratory of Tifernogas. 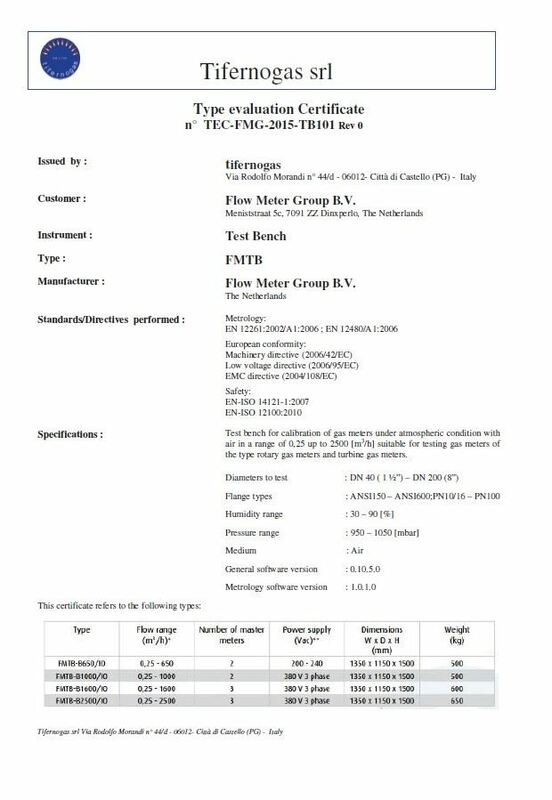 Supported by an Engineer of FMG the test bench is investigated by the experts of Tifernogas Srl on the standards / directives as listed above. 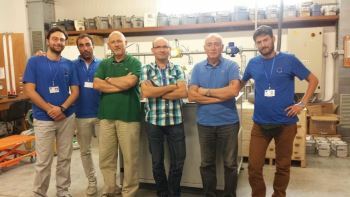 In good cooperation between the experts of Tifernogas Srl and the engineer of FMG the complete test bench is tested and evaluated. The metrological part of the software, including the calibration and the uncertainty calculation are verified. Conformity of the European directives was checked using standardized check lists. 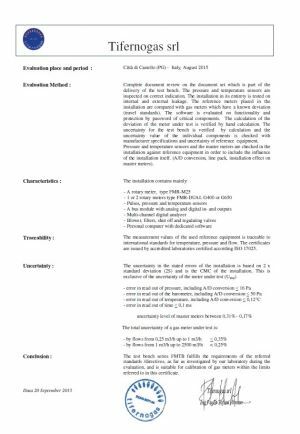 Comparison with travel standards between the test facility of Tifernogas Srl and the FMTB test bench according EN ISO 17043 showed no significant deviations. The conclusion of all performed tests is that the FMG FMTB series fulfils the requirements of the mentioned standards and directives and is suitable for calibration of gas meters within the limits referred to in the certificate. For more information about the possibilities of certified test bench series FMTB contact your local agent or the sales department of FMG via sales@flowmetergroup.com.